The Ealing Half Marathon keeps going from strength to strength since the inaugural race took place in 2012, confirmed in April with the race taking home a fifth trophy in the “Best Half Marathon” category at The Running Awards. Sandra Courtney, Race Director commented: “We are overwhelmed by the support of our runners and the community behind us. I’d like to thank everyone who has been involved with the development of the race over the last six years, we are very grateful to you all”. The seventh Ealing Half Marathon takes place on Sunday 30th September 2018 and organisers are urging runners to sign up as soon as possible to experience and be a part of the race voted the “Best Half Marathon” in the UK three years in a row. There are less than 30 days to race registration closes. Alzheimer’s Society and Cancer Research are the headline charities for the Ealing Half Marathon, with a range of other charities using the race as a platform to raise funds and awareness. Runners have helped raise over two million pounds since 2012 and encourage those running to keep boosting this total. Corporate teams are talking a big interest in our event to encourage team building and morale by either signing up runners to compete or sending volunteering teams, 700 volunteers are needed over the weekend to help stage the event. With just under two months until race weekend, the Ealing Half Marathon has almost filled its 7,000 spaces as runners from all over the UK and abroad secure their spot to experience the #EalingFeeling. It promises to be the biggest year yet for the race which was introduced in 2012 as a legacy to London’s Olympic Games. 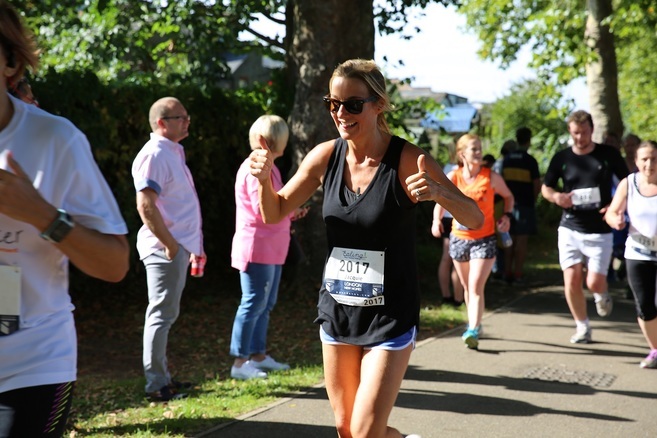 The Ealing Half Marathon starts and finishes in Lammas Park, West London on Sunday 30th September and features a 13.1-mile route on closed roads around the leafy streets and parks of the Borough. It is well known for its huge support and lively atmosphere with over 30,000 spectators out cheering on the course. Prices started at just £38 when sales opened in October for this fully road closed event in London and finishers of the 2017 race received a further discount of 15%. There are many ways to get involved and save, volunteer at Ealing Half Marathon one year and get a free place for the following year, run for one of our headline charities and get a free or greatly discounts place. Lots of ways to get involved and help your pocket. Go to www.ealinghalfmarathon.com for further details and to register now, like the Facebook page www.facebook.com/ealinghalf and follow @EalingHalf on Twitter to keep up to date with all the latest news about the Ealing Half Marathon.